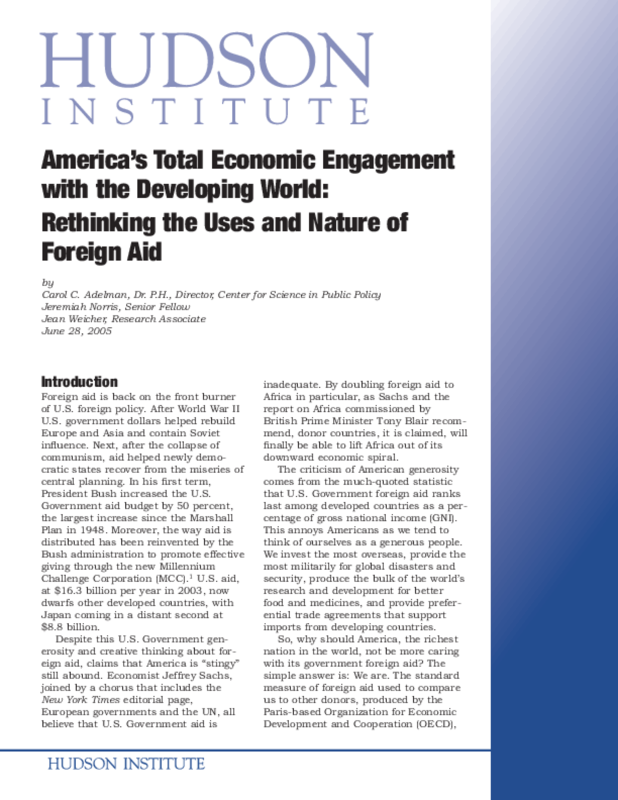 America's Total Economic Engagement with the Developing World: Rethinking the Uses and Nature of Foreign Aid. This white paper updates the private international giving numbers that were produced by the Hudson Institute for the U.S. Agency for International Development report, Foreign Aid in the National Interest , for 2000. Copyright 2005 by Hudson Institute. All rights reserved. Title: America's Total Economic Engagement with the Developing World: Rethinking the Uses and Nature of Foreign Aid.